Indy Datta on a literary account of a cinematic trainwreck – a book about the making of The Room. This is the second time that we at MostlyFilm have covered Tommy Wiseau’s cult oddity The Room. We’ve written just once about The Passion of Joan of Arc, Red Desert and Lawrence of Arabia, and haven’t yet got around to covering, say, Barry Lyndon, or Godard’s King Lear. What gives? Why the fascination with a film which, when all is said and done, can’t even make it into the IMDB’s all-time bottom 100? 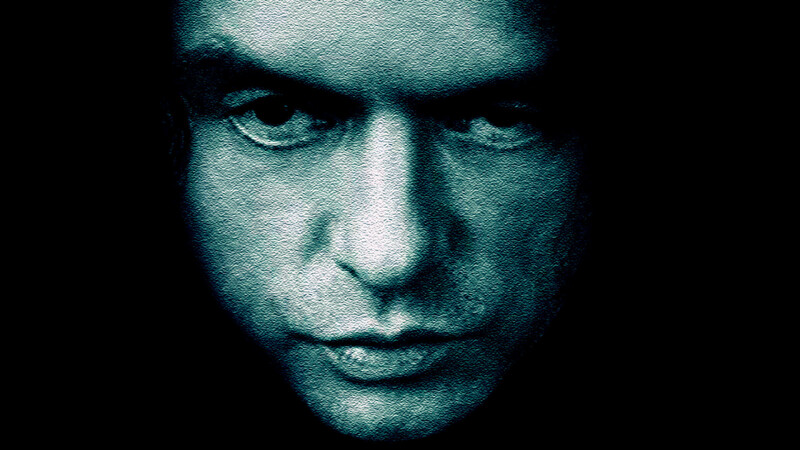 When I first saw The Room, I approached it in a spirit of skepticism: the only sane way to approach something that’s been described as so-bad-it’s-good. And while, to start with, Wiseau’s passion project (he wrote, produced, directed and played the lead, and was equally clueless in each of those roles) indeed appears to be no more than a banally amateurish mess, after a while its incompetence acquires a certain surreal majesty. And then there’s the one thing that separates The Room from most of its near peers in bad-movie infamy – how personal, deeply felt and sincere it appears to be, how free of cynicism or calculation. On one level, anyone who’s ever tried to express themselves in art may be provoked to empathy by the gulf between Wiseau’s aspirations and The Room’s accomplishments, a gulf made more poignant by the film’s camp cult success, Wiseau’s continuing and active participation in which will require him to be a good sport about being a laughing stock for the rest of his life. The recent memoir The Disaster Artist, co-written by Wiseau’s co-star Greg Sestero and the reliableTom Bissell, doesn’t go in much detail into the strange afterlife of The Room. In this sense it’s very different to Best Worst Movie, the documentary film about the similarly cultish Troll 2 (merely the IMDB’s 93rd lowest rated film at the time of writing). Instead, Sestero and Bissell switch back and forth between two different timelines in their narrative; detailing in alternate chapters how Sestero first met the mysterious and unpredictable Wiseau when both were aspiring actors in San Francisco, and recounting the course of the film’s notoriously troubled production. The structure promises more cleverness than it ultimately delivers – the book peters out rather than bringing the timelines together in a climax – and the material about Sestero’s near-miss trajectory as a Hollywood comer which pads out the earlier timeline is rather less interesting than the material about the making of The Room itself. Here, the book doesn’t disappoint, coming on like a gonzo cousin of The Devil’s Candy, Julie Salamon’s account of the bloated flub that was Brian de Palma’s Bonfire of the Vanities (another book we wrote about). It’s tempting to regurgitate a whole series of delirious on-set anecdotes from the book, but that would be to spoil the film for people who haven’t seen it, and then to spoil the book. So instead, let’s just note that The Disaster Artist tells us that the first 7 seconds of Wiseau’s performance in this scene took over 3 hours and 32 takes to get on film. A key part of The Room’s cult appeal has always been the mystery of Wiseau himself (what is the source of his accent, or his unique name, or the reported six million dollars he spent on the production of The Room?) a mystery that The Disaster Artist tells us he has cultivated for as long as Sestero has known him. What might seem in the current context to be a canny piece of personal brand management turns out, in the book’s account, to be an expression of Wiseau’s profound loneliness and an ever-present paranoia that seems to alienate him from everybody but Sestero (a picture of whom emerges, possibly unintentionally, as a somewhat callous striver who uses Wiseau’s fondness for him for his own ends without ever quite respecting him or accepting his friendship). In the end, there’s a tension at the heart of The Disaster Artist, between the palpable sadness of Wiseau’s personal circumstances and the hilarity of his ineptitude as a film maker, that might cause one to reflect on the same tension in the very idea of the cultish ironic connoisseurship of terrible movies, about what it really means to laugh in the faces of people who have so publicly failed to fulfil their dreams. At some point, we can expect to see a film adaptation of Sestero’s book, which is currently under option to James Franco, who intends to both direct and play Wiseau. Whether his film will be alive to that idea or will crush it with a dismissive smirk remains to be seen.